We admit it, every time a celebrity gets engaged we immediately want to see the ring—since they often set trends for the rest of us! At Diamond Boutique, we believe that you don’t have to break the bank to buy an amazing ring. 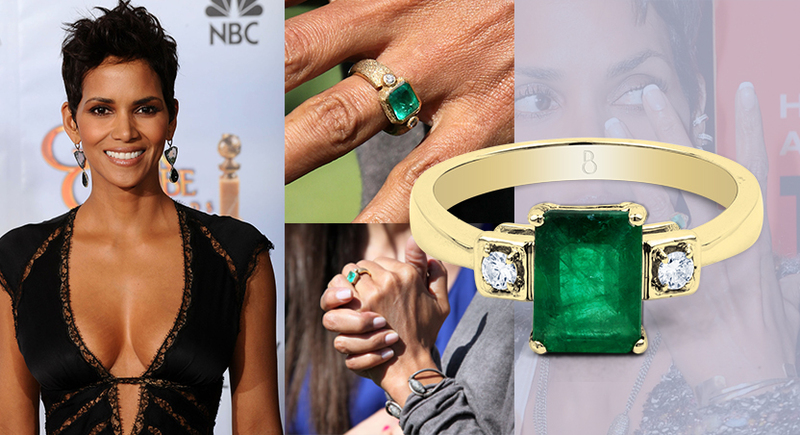 Here are six celebrity rings that we offer for a fraction of the price. The question is… will you pick to save or splurge? Like fine wine, this engagement ring got better with age. 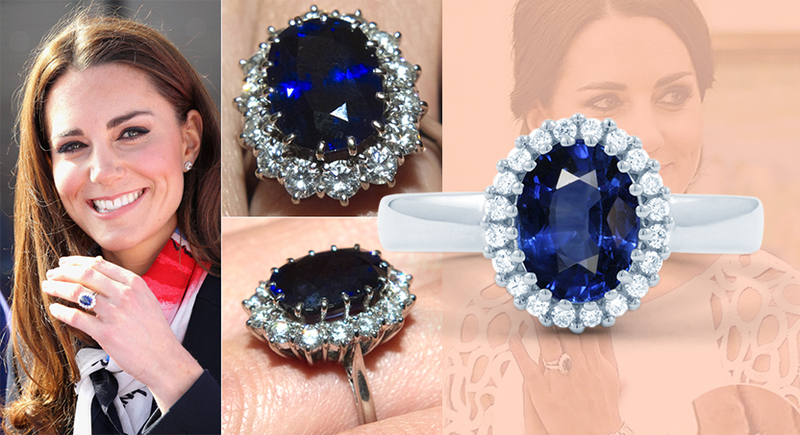 Inherited from Princess Diana – this gorgeous blue sapphire number has quickly become the trendsetter amongst engagement rings. Estimated to be worth £300,000 – you can experience the ultimate princess worthy proposal on a budget with our £1010 replica of the royal ring. This lucky lady owns a three stone gold ring with a big ruby in the centre surrounded by two diamonds, we loved this unique and beautiful piece the minute we set our eyes on it. Estimated to be worth $150,000 – you can have an equally unique and sparkling piece at a beautiful cost of £545. Definitely a bargain! Continuing with the coloured gemstone trend, this Hollywood star wears a stunning antique sapphire ring that is surrounded by halo of diamonds creating a flower petal effect. Estimated to be worth a $65,000 – enjoy the splendor and elegance of this creative ring with our £1875 dupe. Owner to one of the most stunning diamond pear shaped engagement rings, this famous ring that has it all – it’s classy, contemporary, vintage and has the aspect of sentiment. Estimated to be worth $65,000 – if this is your kind of ice treat yourself with our version for just £1985. This Oscar winner never fails to present her one of a kind, irreplaceable emerald chunk. The story behind this ring is like a fairytale come true and she seems to be living the dream! Estimated to be worth $100,000 – make your fairytale proposal come true with our replica worth just £1080. Bringing the classic and traditional solitaire engagement back in style, this celebrity has a breathtaking diamond ring that sealed the deal of a beautiful romance with her Hollywood hottie. Estimated to be worth $200,000 – get your classic engagement ring that has been beautifully hand crafted for £1215.